CHICAGO (January 30, 2017)--President of the United States and 4th Ward voter Barack Obama has endorsed his current alderman and neighbor Sophia King in the special election for 4th Ward alderman to be held February 28, 2017. Ald. King was appointed in April 2016 when Will Burns left office to pursue a career in the private sector. Ald. King has lived in the 4th Ward for nearly 30 years, and has been an active community leader during her entire time in Chicago. Ald. King has pushed for parity in minority contracts and safe streets for young people. She helped found an anti-gun violence program that brought summer jobs to keep kids off the street. While at the Chicago Public Schools, Ald. King created athletic and after-school programs that kept kids in school and on the right path. Ald. King and her husband, attorney and DJ Alan King, have known the President and First Lady for years and have a strong personal relationship. "Michelle and I have known Sophia many years as a leader dedicated to improving her community. Over the years, Sophia has worked to make neighborhood schools and communities better," President Obama said. "Sophia is the type of leader Chicago and the 4th Ward need." "I am honored to have the support of President Obama," said Ald. King. "His time in office inspired me and many others to take the next step in working for our community by entering public service." Sophia King is the Alderman of Chicago's 4th Ward and is a member of the Progressive Reform Caucus. She is running to retain her seat in a special election on February 28, 2017. 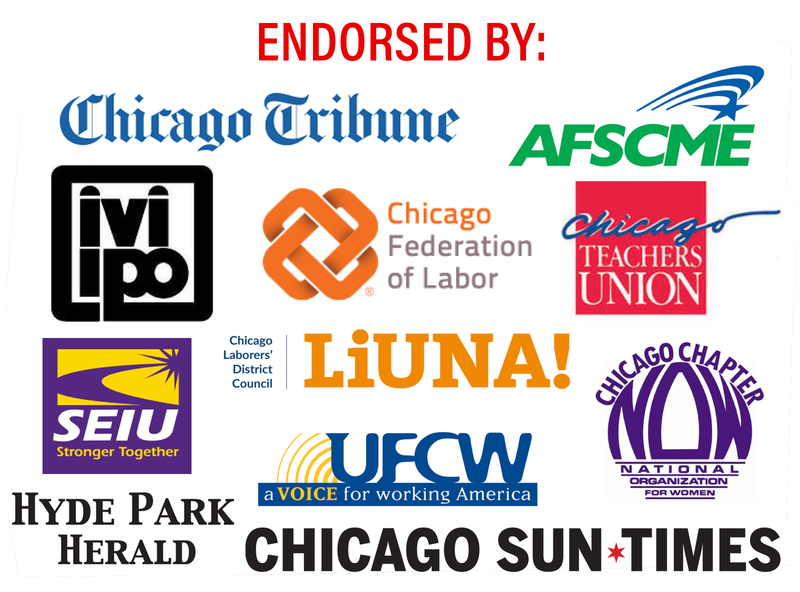 She has been endorsed by Cook County Board President Toni Preckwinkle, City Treasurer Kurt Summers, State Senator Kwame Raoul, SEIU Illinois Council and AFSCME Council 31.